Hello ladies! Today I have a quick review of a new clay facial mask I've tried a couple days ago, and I'm really excited to share my impressions with you. When TruSelf Organics reached out to me with an offer to review one of their most popular products I was really curious to try it out for myself. 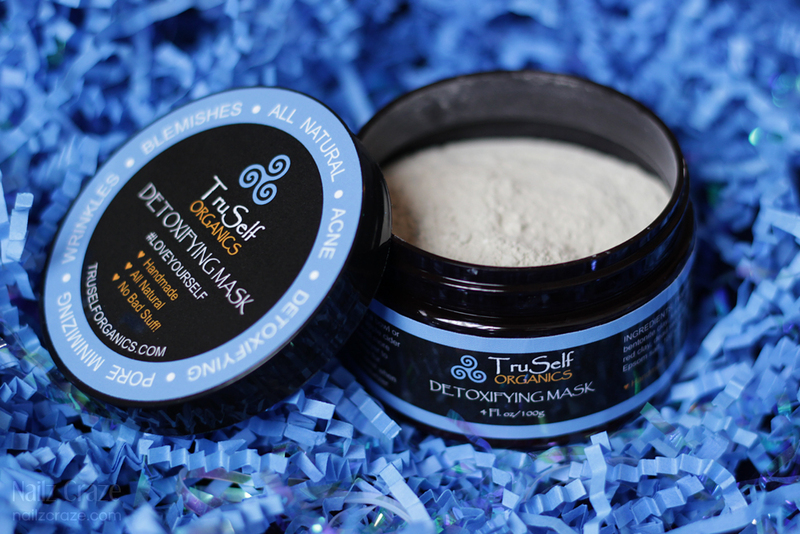 Keep on reading to find out more about the Detoxifying Mask by TruSelf Organics. TruSelf Organics is an all natural and organic skincare and beauty care line that is hand-made with love by the creator and owner, Amanda. The team behind TruSelf Organics believe that to be beautiful you need to love yourself and maintain a positive lifestyle, and the products that we use on a daily basis are a big part of it. The TruSelf team strives to provide their customers with all natural and non toxic products that are actually beneficial to the skins health. Powerful detoxifying action works instantly to restore skin prone to acne and blemishes. Toning action helps to reduce discolorations, fine lines, wrinkles and scars creating a glowing, even skin complexion. No Parabens, No Petroleum, No Sodium Lauryl Sulfate, No Phthalates, No Artificial Dyes or Synthetic Fragrances. How it Works: Our mask contains a proprietary blend of natural clays, drawing out toxins and bacteria from deep within your skin. The detoxifying effect cleanses your pores and leaves them visibly smaller. Formulated with the purest ingredients, our Detoxifying Mask will instantly restore your skin from acne, scars, discolorations and unevenness. The mask comes as a fine powder which is mixed equally with warm water and turns to a wet clay mask. It was easy to use and I loved the fact that you get a 'fresh batch' of the mask every use. I applied the mask to the face avoiding the eye area and left it on for about 15 minutes which is the recommended time for a first use, so your skin isn't getting a harsh detoxifying treatment. While I was waiting for it to dry I didn't feel any irritations or uncomfortable feeling, and I removed it with a wash cloth soaked in warm water. After removing it completely I noticed that I had some redness in certain areas of my forehead and temples, which disappeared completely after about 20 minutes or so. At first I got a little nervous about this redness, thinking that my skin was reacting to the mask badly, but then I realized that I might have been a bit too aggressive while removing the mask at first with the cloth, so I think this was the source of the redness. I will be more gentle next time for sure. As for performance, I've noticed right after the first use that my pores were indeed smaller and cleaner, which was quite surprising as I didn't expect it to work so well right away. I think that with most masks you can expect to see results after a couple of uses, but with this mask I actually saw great results immediately after one use. My skin felt tighter and clean, and the pores were minimized and less noticeable - I'm impressed! 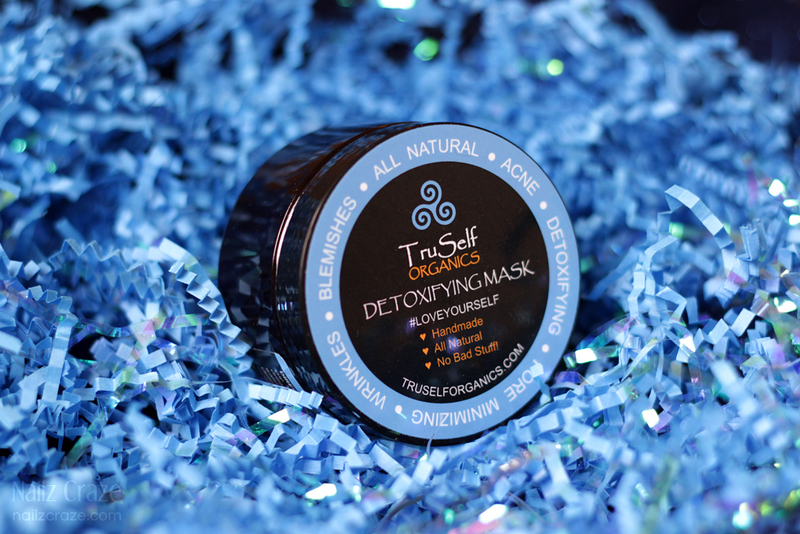 The TruSelf Organics Detoxifying Facial Mask retails for $19.50 and available for purchase at the TruSelf site, along with their complimentary skincare products. Sounds like a very nice mask.